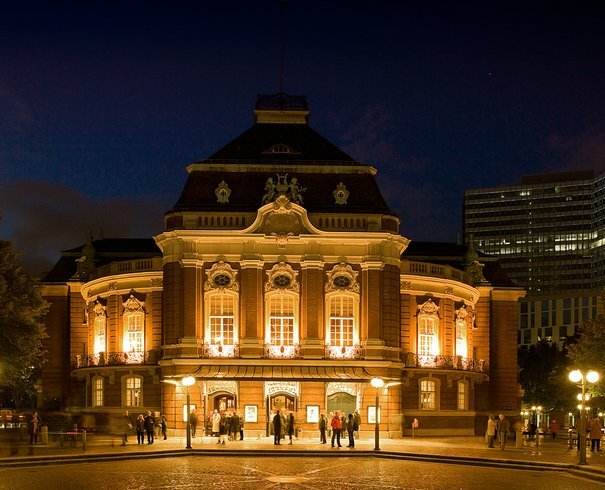 From intermission refreshments, receptions, conferences and congresses to restaurant visits independent of a concert: the Elbphilharmonie and the Laeiszhalle have a diverse gastronomic offering that satisfies a variety of tastes and budgets. A total of six bars in the Grand and Recital Hall foyers are available to Elbphilharmonie concertgoers before concerts and during intervals. 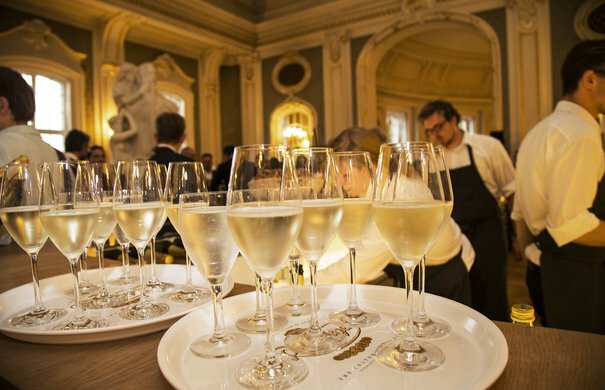 High-quality wines and sparkling wines, standard alchoholic and non-alchoholic drinks, coffee and tea specialities, and international snacks are on offer. Also: unique panoramas over the River Elbe, the harbour and of Hamburg’s skyline. All bars are easily accessible via foyer staircases or lifts. Feel free to approach the front of house or catering staff if you have any questions or suggestions regarding our catering service. 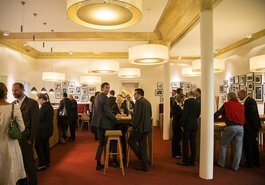 The Harbour Bar in the »Michael und Christl Otto Foyer« on the 12th floor offers post-concert drinks to guests in the Grand Hall. End your evening with a fantastic view of Hamburg harbour. 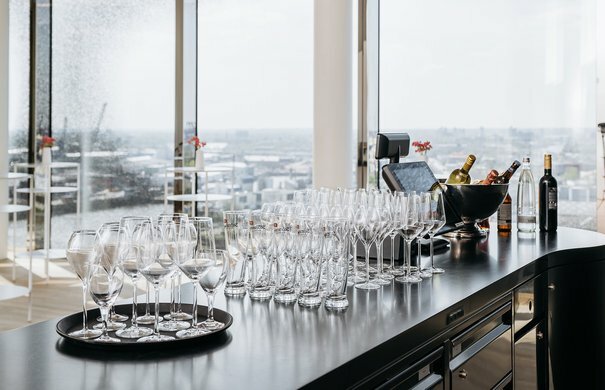 An exclusive assortment of wine and champagne also awaits concertgoers at the Wine Bar on the 13th floor. 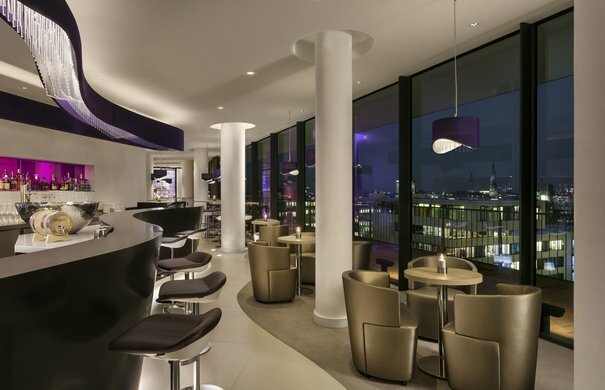 Or indulge in an exclusive selection of champagnes at the Champagne Bar on the 12th floor. 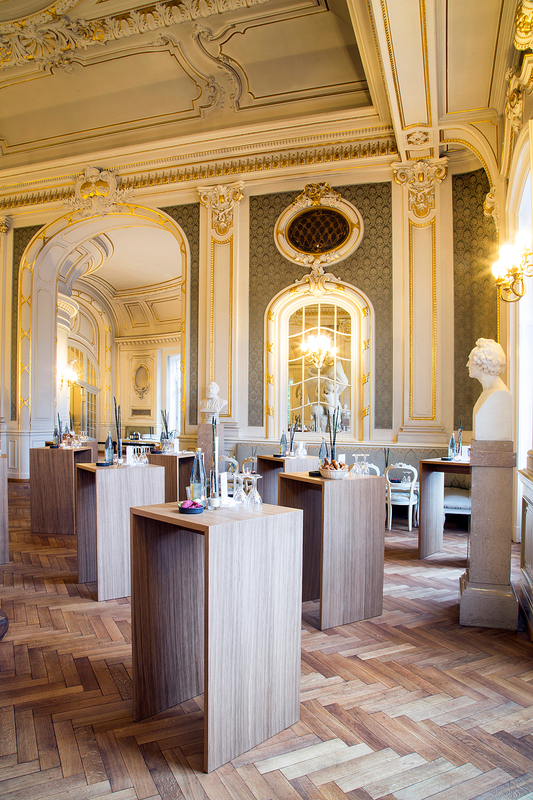 An exclusive selection of Maison Ruinart champagne is available to guests at the Champagne Bar on the 12th floor. A further two bars are located on floors 15 and 16. 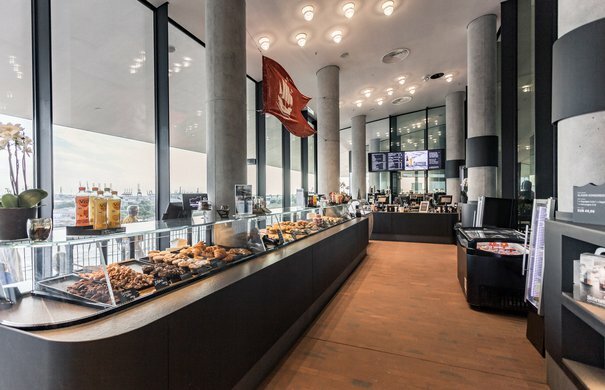 Located on the 13th floor in the »Helmut und Hannelore Greve Foyer«, the largest foyer bar offers a diverse selection of cold and hot drinks and fresh snacks to Grand Hall guests. 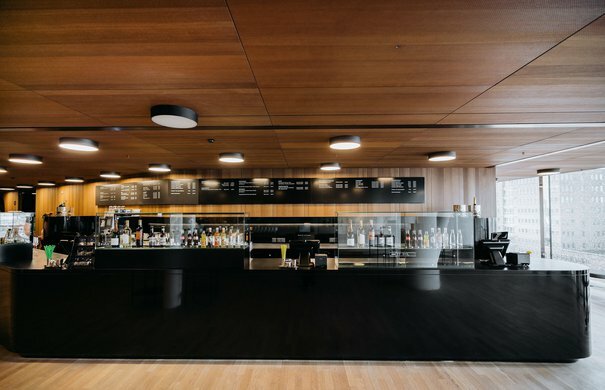 Concertgoers attending concerts in the Recital Hall can order drinks and snacks from the central foyer bar on the 10th floor. 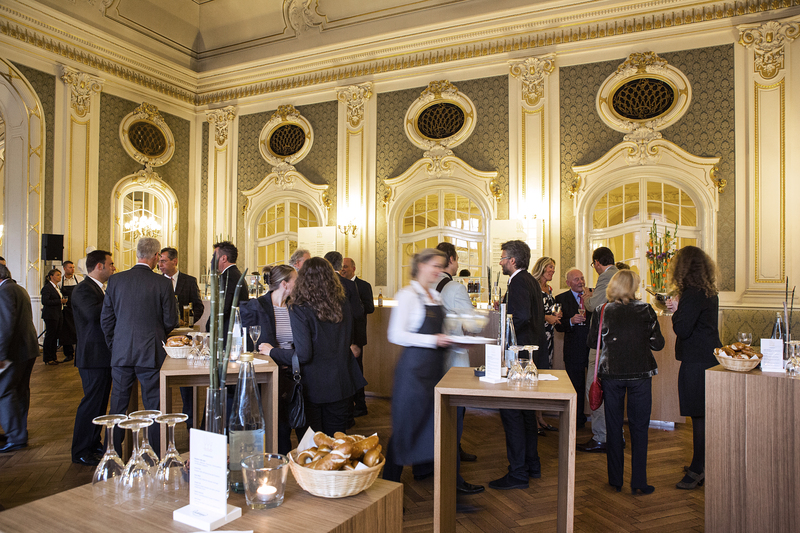 The Elbphilharmonie’s highly-skilled catering service is happy to accommodate your business or private receptions. 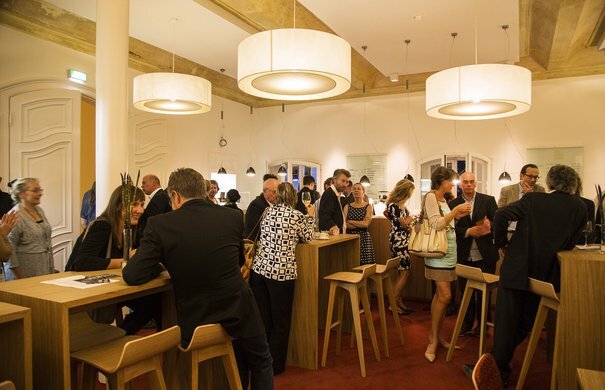 The Grand Hall and Recital Hall Foyers are perfect for receptions before or after concerts, or in the interval. Receptions for 20-350 persons in the Grand Hall or Recital Hall Foyers. 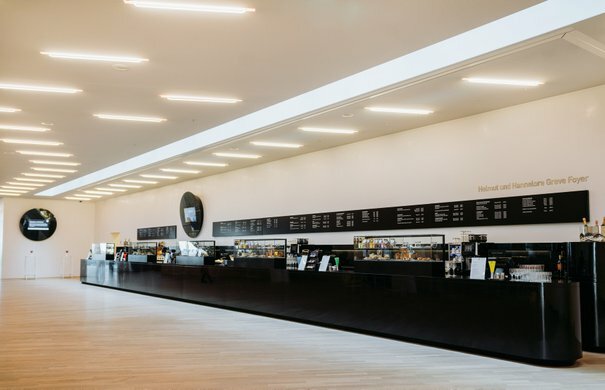 Independent of concerts, the Elbphilharmonie’s catering service works closely with clients to create quality-led events, whether catering for conferences and congresses, festive dinners in the unique atmosphere of the Recital Hall or canapé receptions for up to 2,000 guests in the Grand Hall Foyer. 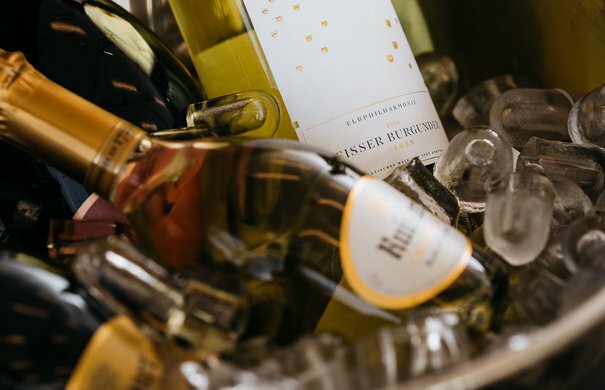 Along with a wide range of food options, a large and changing selection of wines and the perfect delicacies to go with them are on offer before events and during the interval. The bar in the Brahms Foyer is also open following concerts. 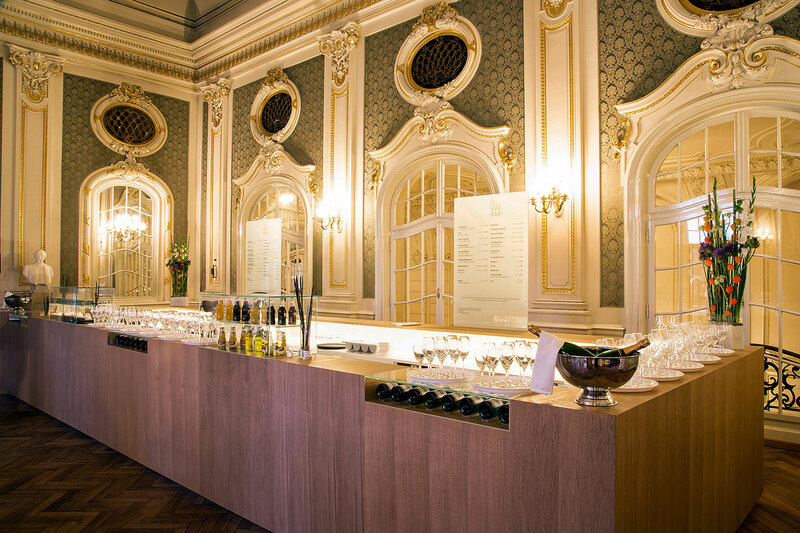 In addition, the catering areas in the Laeiszhalle are available for private or business functions. The Laeiszhalle catering team is happy to accommodate receptions before or after concerts, or in the interval. 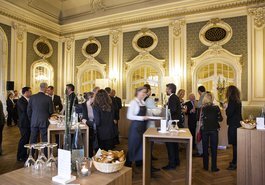 Catering services can also be booked for conferences and congresses taking place at the Laeiszhalle. »Störtebeker Elbphilharmonie Hamburg« stands for a modern interpretation of the Nordic way of life. 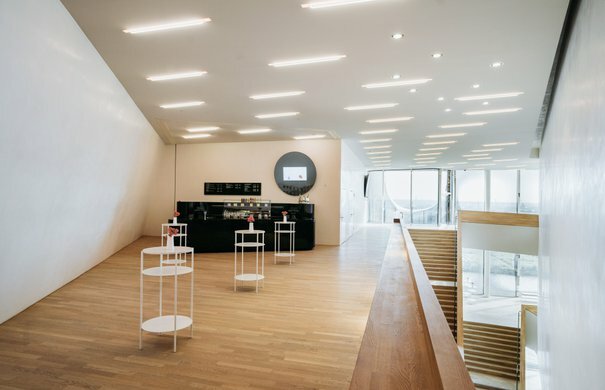 Spread over three floors, two different establishments and a brand store, it offers a variety of options, from small snacks on the Plaza and beer tastings overlooking the Hamburg harbour to three-course meals before a concert. The restaurant area is also available for private or business functions. Störtebeker Elbphilharmonie can be accessed via the escalator that brings guests from the main entrance of the Elbphilharmonie to the 6th floor. The entrances to »Taste & Shop« and »Beer & Dine« are located adjacent to the panorama window. A second escalator brings guests to the takeaway café »Deck & Deli« on the Plaza. Diners require a ticket to access the Plaza. Diners receive a code when booking a provisional reservation for one of the restaurants or cafés. This code may be used to collect a Plaza ticket free of charge either via the ticket machines or online. In cosy surroundings, with a view of the Hamburg docks and the River Elbe, the Störtebeker restaurant and bar invites you to relax and enjoy. Good food is served to suit every taste, with homely dishes in the daytime and a more sophisticated menu for dinner, but always featuring fresh products that are in season, and with the award-winning Störtebeker beers on tap. The entrance is at the top of the »Tube« escalator, where you take a left in front of the big panorama window. 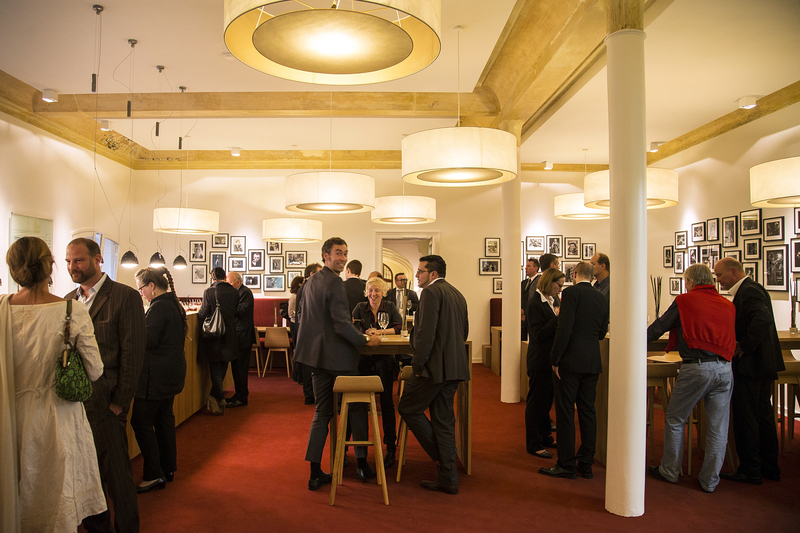 The world of Störtebeker cask brew varieties awaits beer enthusiasts on the 6th floor. In addition to exclusive vintage and speciality beers, including 20 different cask beers, beer tasting sessions with specially trained sommeliers and accompanied by culinary delicacies are held daily. 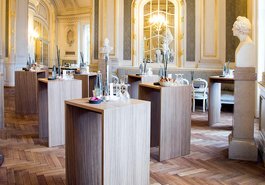 A broad assortment of Störtebeker souvenirs are also on offer. 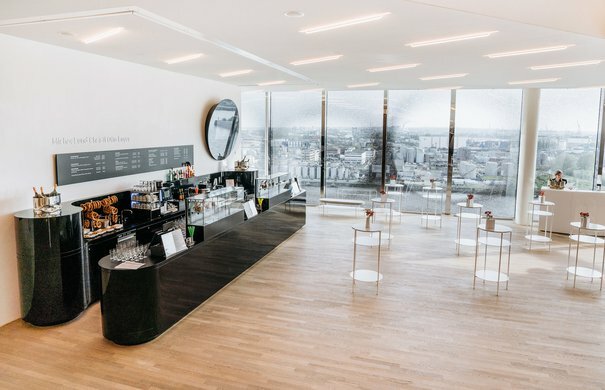 On the 8th floor of the Elbphilharmonie, the Plaza, you can choose from a range of open sandwiches, biscuits and cakes, and snacks of the season such as ice cream or warm stews »to go«. 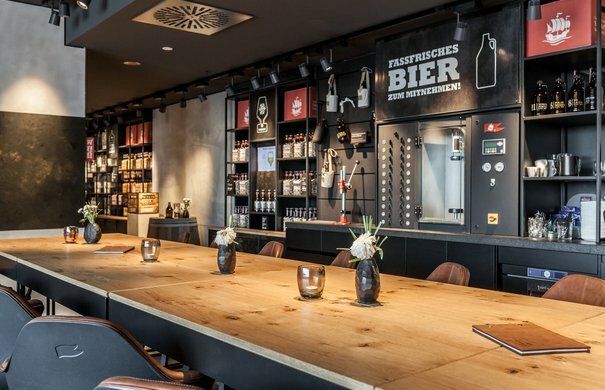 In addition to all kinds of refreshments, wine, sparkling wine and coffee specialities, different Störtebeker cask beers are available on tap. Access via the Plaza. Ideal for breakfast, lunch and dinner, for after-work drinks or as part of your visit to the Elbphilharmonie: »The Westin Hamburg« Hotel offers diners three establishments ‒ fine dining in »The Saffron« restaurant, the »Bridge Bar« with a panoramic view over the River Elbe, and fresh juices and your freshly brewed favourites in the »Plaza Foyer«. 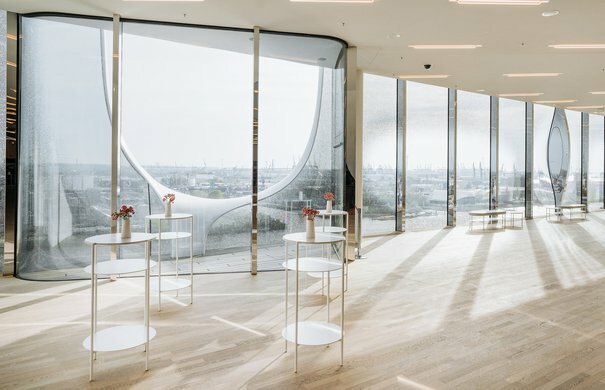 »The Westin Hamburg« Hotel’s restaurant, bar and café are accessible via a dedicated entrance from the main entrance area of the Elbphilharmonie. 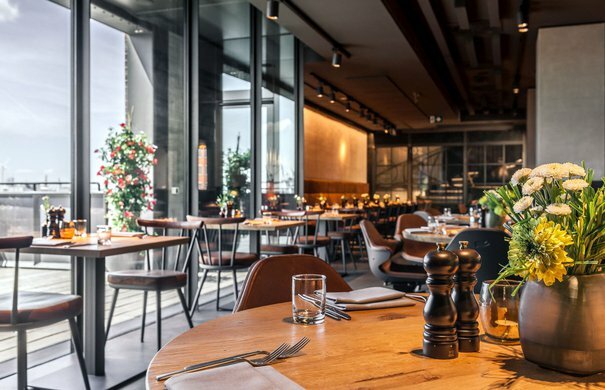 Located in the historic brick warehouse of the Elbphilharmonie, »The Saffron« is a stylish restaurant that serves breakfast, business lunch and dinner. 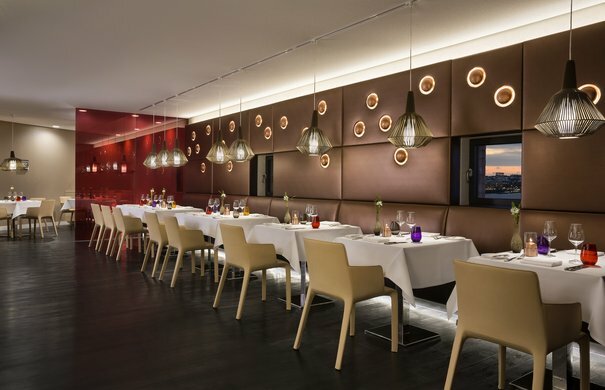 Chef Martin Kirchgasser specialises in fresh, Hanseatic cooking with an international twist. Choose from a selection of cocktails and specially selected bar food at the Bridge Bar. 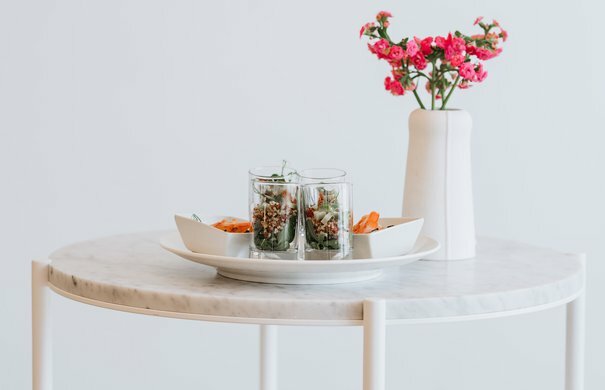 An intriguing line-up of fresh ingredients, spices and spirits that have been traditionally stored and traded in Hamburg’s harbour make up the special menu. 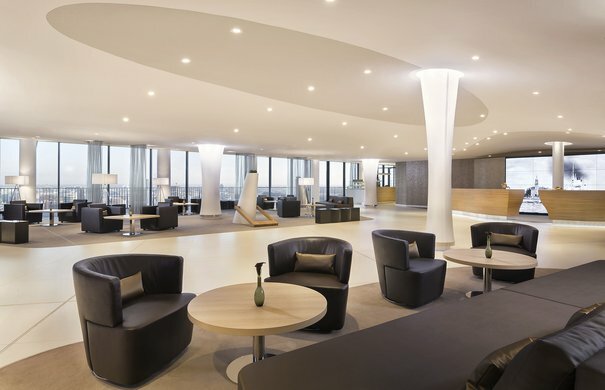 In addition to the Bridge Bar, the Plaza Foyer lies at the heart of »The Westin Hamburg« Hotel. The Plaza Foyer offers guests a comprehensive breakfast with freshly baked goods straight from its in-house patisserie in the mornings. 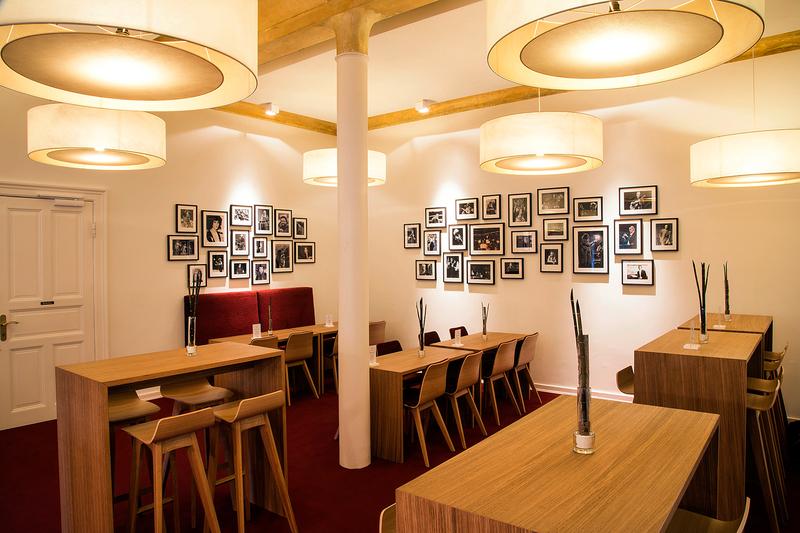 The Foyer is also ideal for business lunches. In the afternoons, tea specialities, fresh scones and a range of sandwiches are served.